November 5: Twitter rolls out Project Retweet to a limited audience. According to their recent blog post, the Twitter echelon wants to see how it will "work in the wild," before offering it up to the Twitterverse. Back in August, Twitter shared some insight as to how Project Retweet would work. For those that do not know, the process of retweeting is based on bringing attention to a recent tweet by a fellow follower by copying and pasting the tweet as one's own, referencing the original author with an @mention and labeling it with a "RT" in the body of the 140 characters or less message. And the subsequent Retweet (RT) would like such.. So, no more cutting and pasting! Once this feature is fully functional on Twitter, all a user has to do is select a Tweet, hit a RETWEET button and the automated formatting of the new tweet will enable it to be retweeted to all of one's followers. Twitter always does things cautiously. Testing and re-testing has been a mainstay in how they conduct business, particularly as it applies to a new feature launch. The recent release of Twitter' list functionality was another example of sampling it in "the wild" with a select group of users before rolling it out to the entire Twitterverse. 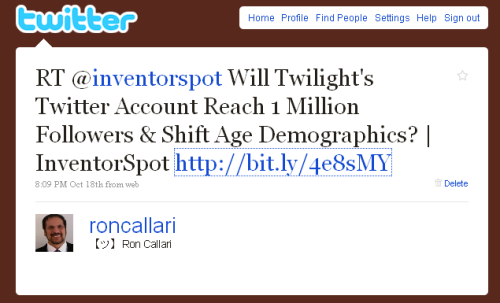 (see my recent blog, "Twitter Lists Inspired By Tweetdeck, Google Wave & Enterprise Microblogs" ). Let me know if you were one of the chosen few selected to kick "Project Retweet's" Tires? 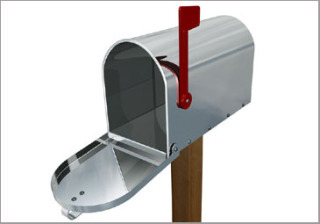 So far, my Twitter mail box is empty. Nov 9 Update: Stowe Boyd apparently is one of the chosen few allowed to test Twitter's limited launch of Project Retweet. He notes a 'fly in the ointment' that I think has merit. It appears that Twitter's 'retweet functionality' will not allow for 'edits' , i.e. users will not be able to add a comment to a retweet, which is often done when retweeters want to clarify a point made in the retweet. Without the edit feature or what Boyd calls "RE" (retweet edit) - users will be back to cutting and pasting their own retweets, avoiding Twitter's automated retweet feature altogether. 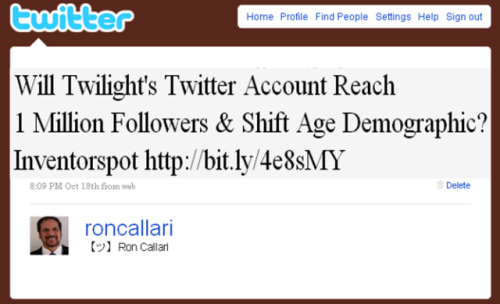 Nov 10 Update: The Next Web actually has some screen shots of how the Retweet functionality looks in operation. Another Project Retweet beta tester didn't like the fact that retweets didn't show up in her feed. Same tester also noted that one doesn't have the option to retweet tweets from friends who have listed their account as 'private.' However you can still cut and paste that same tweet. It appears that Twitter doesn't want to be responsible for infringing on one's privacy, leaving that option open to the user to decide to do it on their own. Update from Ev Williams - Twitter's CEO weighs in on Project Retweet with some clarifications and modifications being added to PR during its beta testing phase. 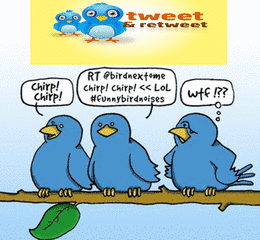 Nov 12 Update: Some testers have lost the ability to beta retweet.